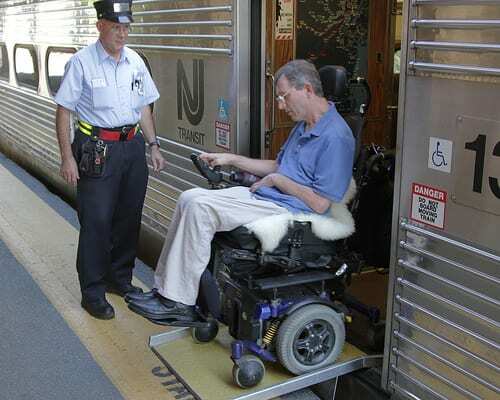 The Americans with Disabilities Act, or simply ADA, turned 20 this past July. The ADA has had a huge impact on the lives not only of people living with a disability, but also on their families, friends and colleagues. However, the impact spreads wider still. 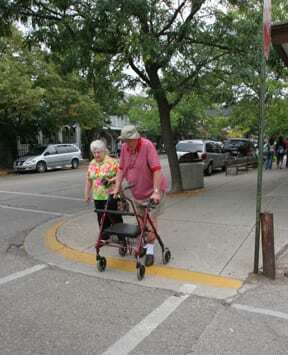 An elderly person opening a heavy door by pushing a button, a passenger at the station pulling a heavy bag up a ramp, a parent with a stroller using a curb ramp at an intersection: all of these are examples of how changes mandated by the ADA benefit all of us, able-bodied and disabled alike. Standards for Accessible Design) between government facilities, including parks, and transportation and commercial centers. The sidewalk on North Post Road between the Municipal Complex and the station? The sidewalk on 571 between Ron Rogers Arboretum and businesses on 571? Curb ramps on the 571 and Clarksville Rd. Intersection? These are all required by the ADA. This is why the WWBPA also advocates for the implementation of ADA requirements: issues of people with disabilities are also issues for pedestrians and vice versa. For more information on the ADA and in particular the Standards for Accessible Design, visit ada.gov.